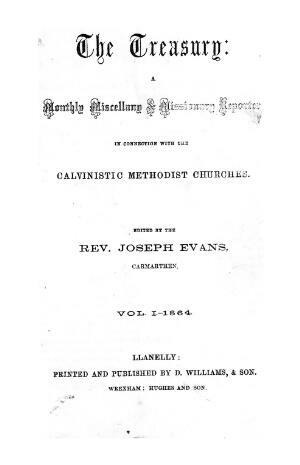 A monthly religious periodical serving the churches of the Calvinistic Methodists. The periodical's main contents were religious articles and denominational news. The periodical was edited by the minister, Joseph Evans (1832-1909). Associated titles: The Treasury with which is incorporated The Torch (1913).